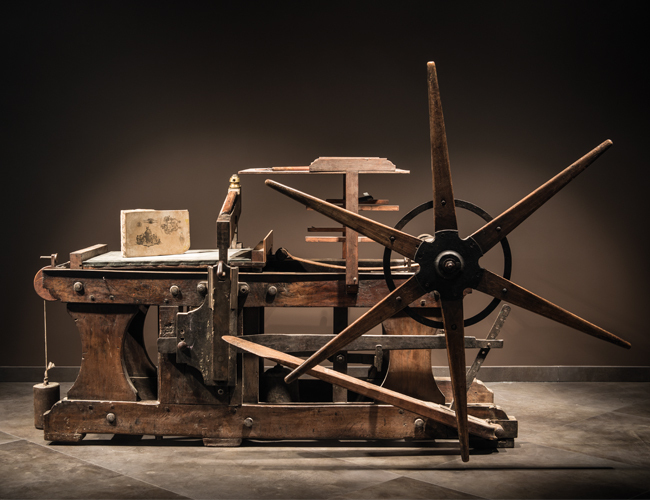 Lithography was initially created to be an inexpensive method of reproducing artwork. This printing process was limited to use on flat, porous surfaces because the printing plates were produced from limestone. In fact, the word "lithograph" historically means "an image from stone"
Tin cans were popular packaging materials in the 19th century, but transfer technologies were required before the lithographic process could be used to print on the tin. A. GILBY & SONS Ltd Printing ink Manufacturers EST 1888 are specialists in litho offset inks & Manufacturers of fine lithographie and letherpress printing inks for all processes. You will find one of these beautiful and massive piece of museum in our House of Grauer Art & Culture to the delight of the eyes.